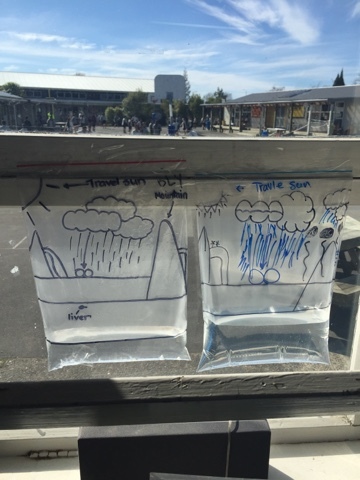 We have been learning about the water cycle... How the Earths water evaporates as vapour and rises into the atmosphere on air currents and cools until it condenses into water droplets that form clouds. As the droplets bond and become heavier they fall back to Earth as precipitation or rain. The cycle repeats. 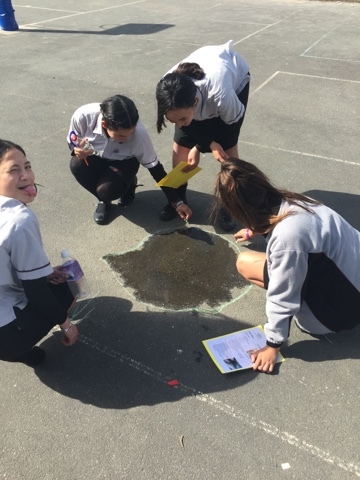 We completed an activity where we investigated water vapour and how a puddle of water evaporates over time. We created our own model water cycles so we can observe what happens to water over time.